The little grocery store at the end of my street doesn't often carry lamb, and I have to make special trips to bigger stores to get it when I want it. Luckily, though, when I was there earlier this week, they had cuts of lamb shoulder, which I gleefully bought with no recipe in mind. I did a little research and found this recipe on a new (to me) site, amateurgormet.com. It looked delicious, but I was honestly blown away by how good this turned out. Moist meat, really hearty sauce, served over some leftover rice I already had. This would be great with stew meat or cut up lamb, too. I changed the recipe just a little bit. I'm going to have to check out that website more often.... Ingredients are approximate/what I used/adaptable due to the style of her site. Heat oil in a pot that will give you some good browning (meaning, NOT a non-stick). 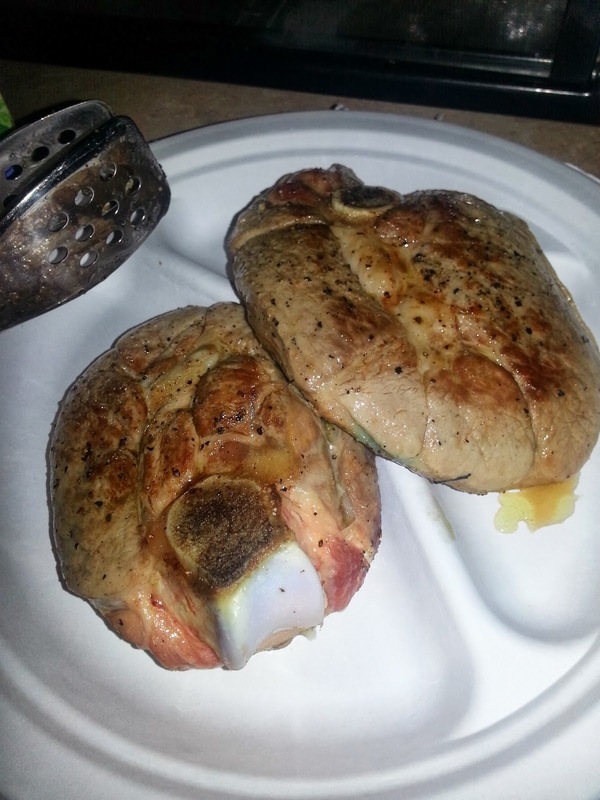 Pat lamb steaks dry and season with salt and pepper. Brown both sides in the pan, then move to a plate. 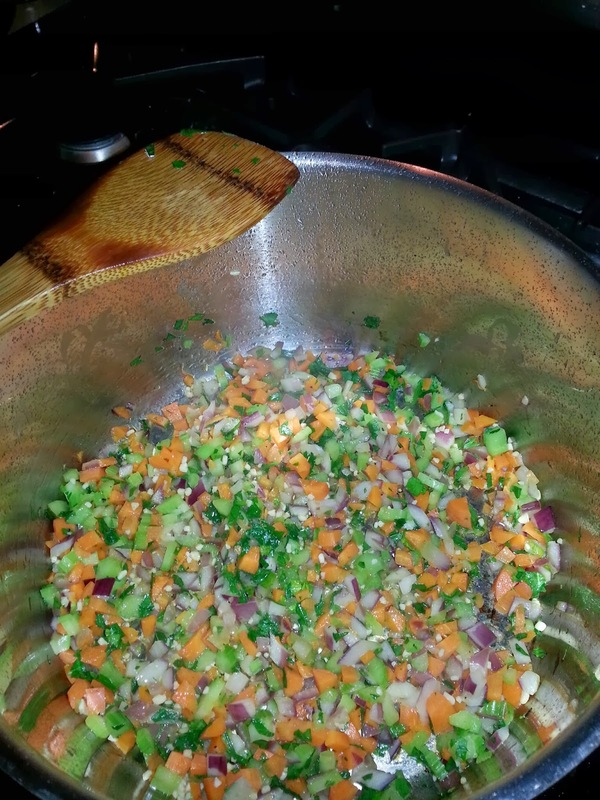 Into the pan, put carrot, celery, onion, parsley, and garlic. Saute until lightly browned, bringing up the browned bits from the lamb. Add the broth or wine and reduce until almost gone. Add the tomatoes and sauce they are in, and then the lamb, and cover the lamb with the sauce. Cover the pot and reduce to a simmer and cook until lamb is tender, about an hour. Serve over rice, potatoes, or pasta.